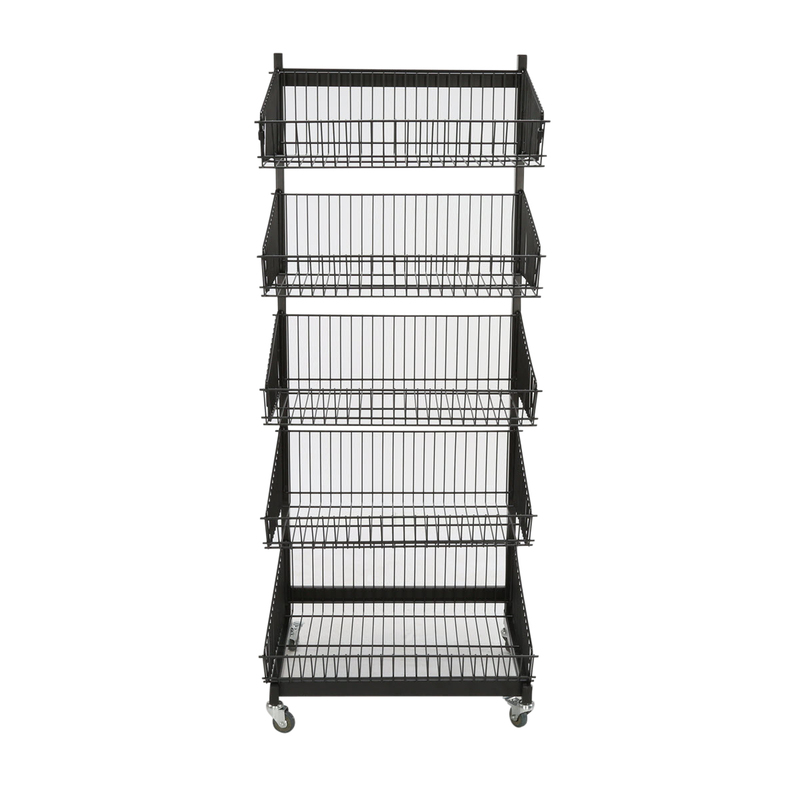 The 5 Basket Impulse Display features high capacity, sturdy metal construction. 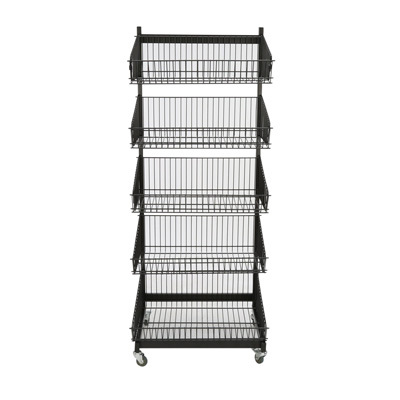 The merchandiser display has an extra large bottom basket that measures 22 in. x 15 in. x 4 in. deep. Includes 5 dividers to easily organize the baskets. Casters on this wire displayallow the display to be easily moved where needed. Add a sign holder to get your customers attention, search item 6976. Video Demo - See this product in action!